A donation of £95,000 has been made to Aberdeen Royal Infirmary for new dialysis machines at the north-east’s main hospital. 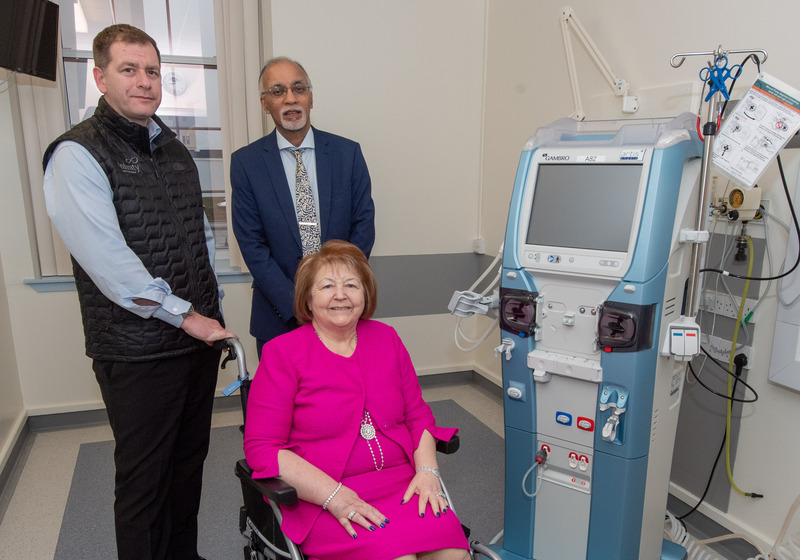 The fabulous figure, which has been used to purchase 10 dialysis machines, was the result of a joint effort between the Cowie family and Infinity Partnership. The Cowie family’s fundraising campaign, which was led by mum Hiezel and supported by staff members at Infinity Partnership – owned by Hiezel’s son, Simon, raised the phenomenal sum in just 12 months. The cash was used to provide 10 new dialysis machines as part of a wider planned programme to replace 100 machines. Hiezel and Simon decided to raise funds as a thank you for the support she received at the Aberdeen Royal Infirmary’s renal unit for her dialysis treatment. Simon, managing director at Infinity Partnership, also enlisted the staff at his business to help support the fundraiser. The majority of the cash was raised at the Infinity Gala Ball, a ladies lunch and an afternoon tea at The Marcliffe Hotel, near Aberdeen. More than £60,000 was raised at the Gala Ball which was attended by family, friends, Infinity staff, clients and business associates. Hiezel visits Aberdeen Royal Infirmary’s Renal Unit to receive treatment three times a week. Dialysis is a procedure to remove waste products and excess fluid from the blood when the kidneys have stopped working properly. It involves diverting blood to a machine to be cleaned. Award-winning Infinity Partnership has a staff of 23.